On the northernmost island of the Aegean Sea, the emerald island of Thassos is where the Atlantis Cruises is based. Our new sailing company, Atlantis Cruises, is name after the main sailing ship of our fleet. Atlantis, a 44 feet (14m) long sailing ship, with a maximum capacity of 10 persons, is ready to set sail for paradise and provide you with an excursion of a lifetime! Most of our excursions revolve around one of the most beautiful, Greek islands, the gem of the Aegean Sea, Thassos island, as well as the peninsula of Athos. 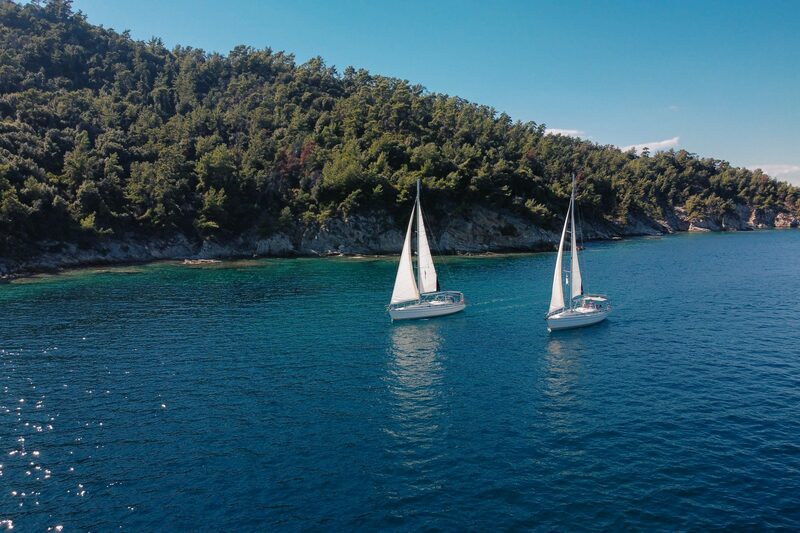 The sailings experiences that we offer our clients vary from trips around the island, long sailing days, excursions to the peninsula of Athos as well as sailing excursions while the beautiful, summer sun sets.